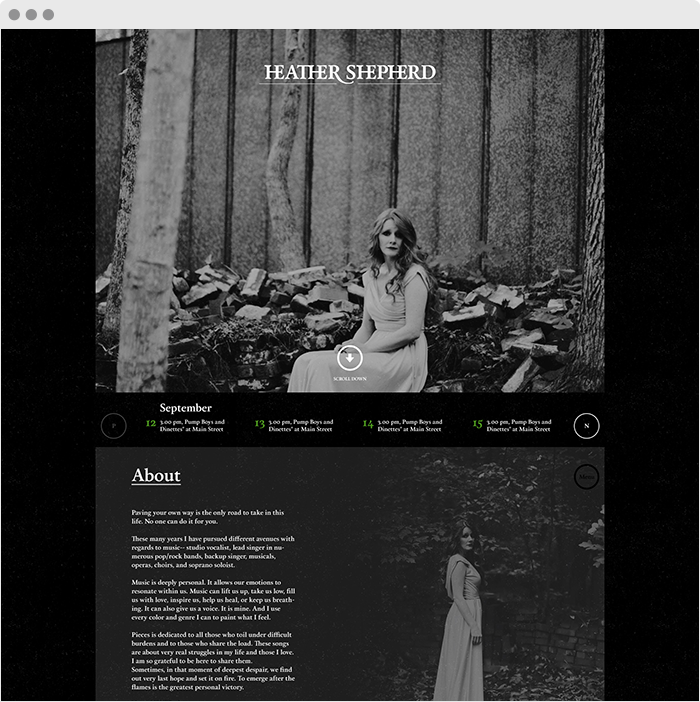 Singer/Songwriter Heather Shepherd has a long musical career – studio vocalist, lead singer in numerous pop/rock bands, backup singer, musicals, operas, choirs, and soprano soloist. For her latest album release “Pieces” Stone Soup created a main single page website design that uses color schemes and visual elements to match the album’s genre and mood. 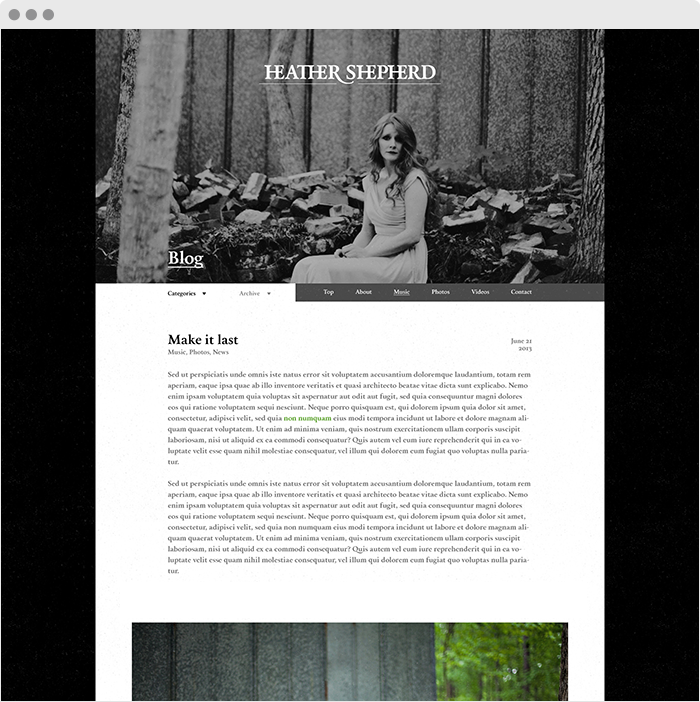 In addition the website has a WordPress based blog section where Heather can interact with her fans and post news.